DESIGNED TO LIFT, REJUVENATE, STIMULATE AND SHAPE! Plexr Eye Lift treatment is a new revolutionary non-surgical treatment that if you haven’t already heard about, believe us you soon will! At Soprano Ice Edinburgh, we pride ourselves on keeping up to date with the very latest treatments available so we can only always offer the very best to you! Plexr – (described as the lightning lift) – is the use of gasses contained in the air to create small electrical dots which can be used to treat specific areas of concern without damaging the surrounding areas or applying any unwanted heat to them. This triggers an instant contraction and tightening of skin to create a lifting, remodelling and rejuvenating effect without any cutting, meaning the Plexr treatment is perfect for eye lifts. FAQs – It’s ok to ask for more information – you’re in expert hands! If you have eye bags, droopy lids or loose skin on the upper or lower eye, then this could be the very treatment you’ve been looking for! The treatment is performed using topical local anaesthetic cream to minimise any discomfort but the actual treatment is virtually pain-free. The average treatment time is around 30 minutes – so perfect as a lunch-hour treat(ment)! 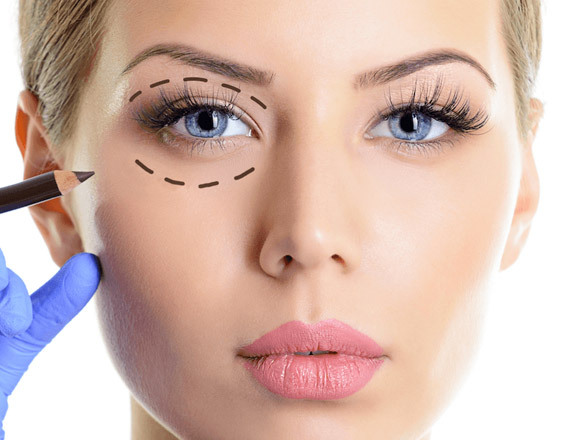 While the actual procedure itself does not take long, the eye area will be swollen so please be prepared to allow a proper recuperation time of between five and seven days. You get immediate and permanent effects from treatment with around a week of downtime in the form of redness, swelling and slight crusting (all can easily be concealed with a good concealer foundation) – so much less downtime than a surgical procedure. Usually one treatment is all that is required but if more of a lift is desired, then a second treatment can be done one month after the first one. It will take four – six weeks to experience the full result from the treatment and a follow up review will be required to assess if any further treatment is needed. As always we provide you with a full consultation before any bookings to ensure you get the right treatment with exactly the right effects for you. The team at Soprano Ice Edinburgh pride themselves on providing the highest standard of customer care and always listening to client needs and expectations. An outline price guide would be – Plexr small area from £70 and Plexr Eye Lift £450 per session. For this lifting, remodelling and rejuvenating effect, BOOK TODAY to organise a FREE CONSULTATION. What an amazing experience. It really works, I’d recommend a Plexr eye lift to anyone looking for a non-surgical answer to saggy eyes! Jackie Ritchie on What is thread vein removal? Two faces from the Edinburgh theatre scene get theirs made over! Thank you for this article, very useful and informational.